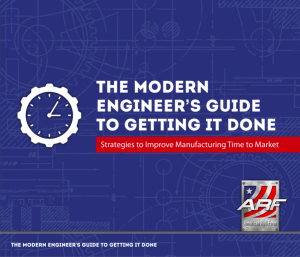 This post is taken from “The Modern Engineer’s Guide To Getting It Done: Strategies to Improve Manufacturing Time To Market.” If you’re interested in learning more practical strategies, tips and technologies that will help you improve your manufacturing time to market, download the eBook. Shortened product lifecycles, an acceleration of new and emerging technologies, a fundamental shift in necessary skillsets, and the pressure to do more with less have all made the manufacturing world challenging for the modern day engineer. 1. Increase Your Productivity. 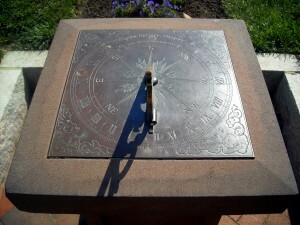 Time is money, and no one wants to waste money, right? There are a variety of tools, technologies and techniques out there that are designed to help you get the most out of every minute. For example, minimize distractions with tools like Marinara Timer, design 3D printer-ready designs with Tinkercard, and share CAD files with GrabCAD Workbench. 2. Stay Ahead of the Curve. Once you’ve selected the tools and technology that will help your productivity, it’s time to develop a plan to stay ahead of the learning curve. Changes in engineering technologies and design capabilities have a direct effect on your career, and your company. That means it's up to you to stay on top of new advancements as they come out, and be an advocate for innovative new ideas. 3. Dominate the Design Process. Engineers today are held accountable for costs. This means the design process is part creative problem-solving, part production scope and part project management. There are a few valuable steps engineers can take to help keep the design process running smoothly such as getting creative with cost reduction strategies, and embracing agile and lean manufacturing practices. Of course, it never hurts to have a reliable partner like American Roll Form Products when you are looking to increase your productivity, stay ahead of the curve and dominate the design process.